QuiltRed™ - Fabric Shoppers Unite! 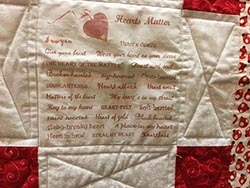 Welcome to QuiltRed, where quilters and quilt shop owners work together to raise awareness about the importance of women’s heart health.As women, when we hear about heart disease, many of us make the mistake of assuming that heart disease is a “man’s disease.” But the sad truth is that one in four women in the United States dies from heart disease, while one in 33 dies from breast cancer. There are many steps, however, that women can take to reduce the likelihood of acquiring heart disease. 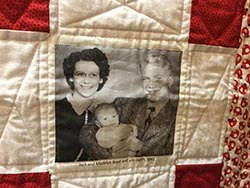 That’s why The Fabric Shop Network established QuiltRed. 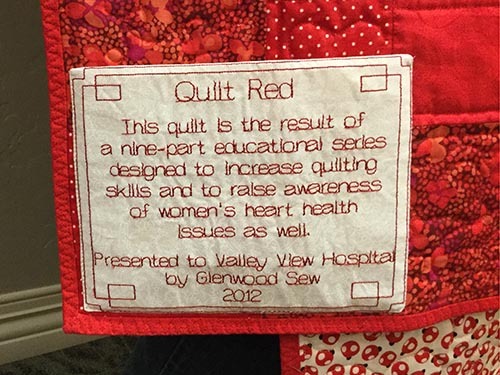 In partnership with our member shops, we hope to join with quilt shops and quilters everywhere to educate women about the changes they can make to their lives to combat heart disease. Educate yourself about heart disease. Our site features many, many links to resources that can help you understand the risks and what you can do to help keep your heart healthy. Find a shop participating QuiltRed and sign up for a QuiltRed class or club! 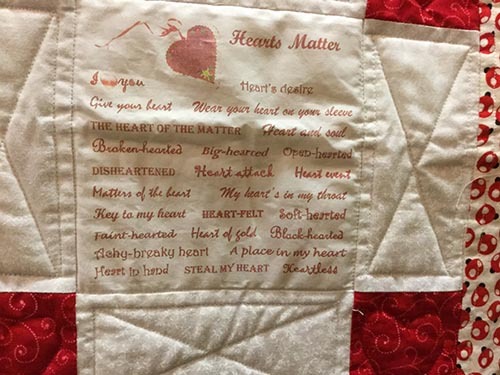 Raise awareness about heart health by making a red quilt to give away or as a reminder to yourself to take care of your heart. Make a red quilt for charity! Check back to our site regularly to get inspired to be heart healthy and share the importance of heart health with others. Join us and QuiltRed for women’s heart health! 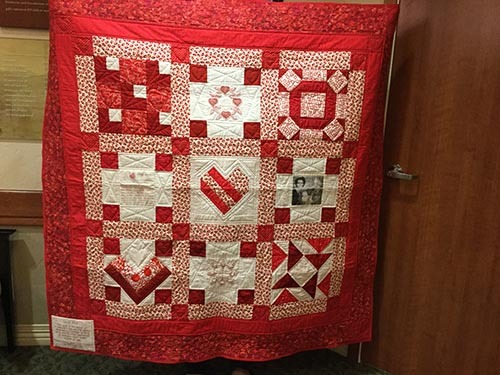 Women Heart: Women With Heart Disease – WA D. C.